An expedition for experienced ski tourers who want to witness the remote and wild Patagonian Ice Cap and push themselves in a wilderness setting. A choice of three different itineraries gives you the chance to tailor the trip to your own personal goals but also to accommodate the extreme weather that may delay or shorten your time on the ice cap. Day 1: El Calafate- El Chalten. We’ll be waiting for you at the airport and from there we will drive 5 hours to Chalten, where we’ll check in at our Hotel and go out for a welcome dinner. We’ll drive to Electrico’s bridge, where we’ll start hiking to our first camp at “La Playita” (5 hours). This will be one of the most challenging days on the expedition as we rope up for the first time and climb to the Marconi pass. Expect magnificent views of the Continental Ice-cap. Depending on weather and timing considerations we’ll spend the night at Gorra Hut or camp on the ice cap.8 to 9 hrs. Day 5: Cerro Gorra Blanca. Day 7: Moreno Base Camp. From our camp at Marconi we’ll have a long day on our skis, traveling across the ice. We’ll set camp at the base of the range. 6 to 9 hours skiing. We’ll move up with light loads to our advanced camp on the ridge and get ready for our summit push. 4 to 6 hours. Day 9: Cerro Mariano Moreno. 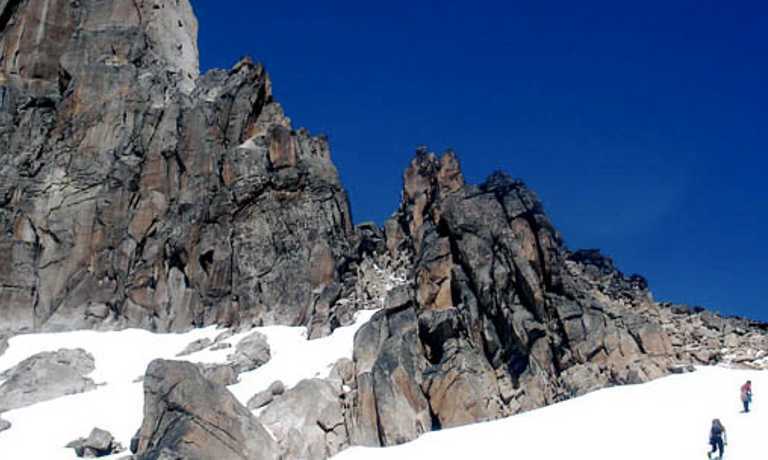 On our summit day, we’ll start out for the summit early in the morning, moving quickly toward the summit.After reaching the top and taking in the incredible view we’ll descend all the way to basecamp. 7 to 10 hour depending on conditions. 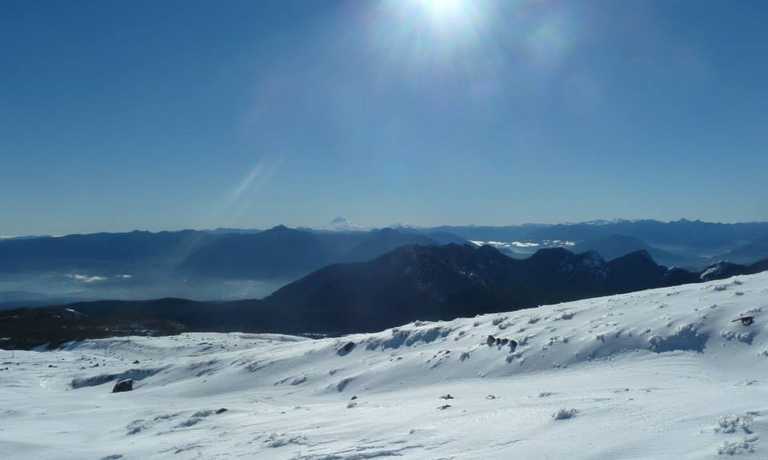 We’ll move our camp closer to Volcan Lautaro or Cerro Lliboutry.Build our camping platform and settle in for the night. 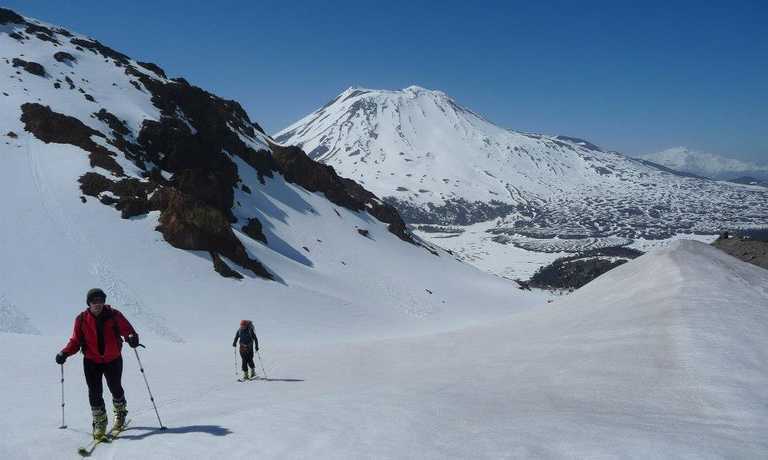 Day 11: Climb and Ski Volcan Lautaro or Cerro Lliboutry. 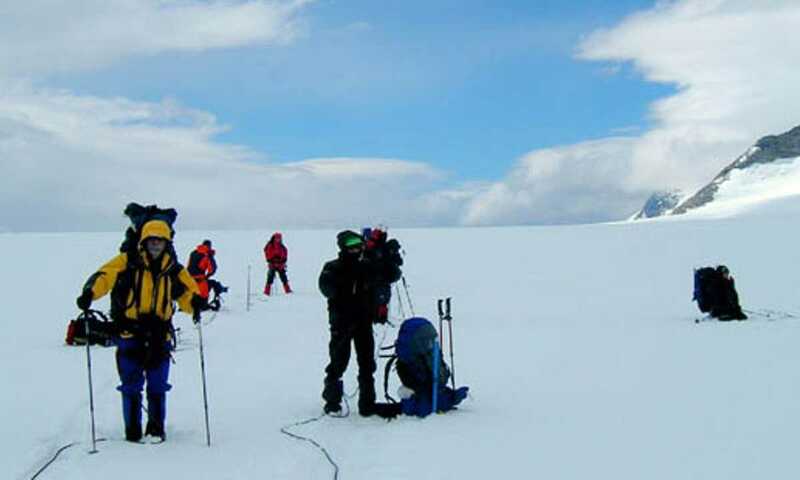 We’ll get up early and make tracks toward the summit of our third objective.After 5-6 hours we will reach the summit have time for photos some hot drinks and then descend via skis back to our camp. Day 12: Gorra Hut or Playitas. After a few hours of walking we will reach the road at Rio Electrico and wait for our transfer back to El Chalten.Night in a hotel and Celebration dinner restaurant Chalten. Day 14-15: Extra days for Weather. Day 16: Transfer from El Chaltén to El Calafate. Rescue costs and extra expenses caused by abandoning the expedition.